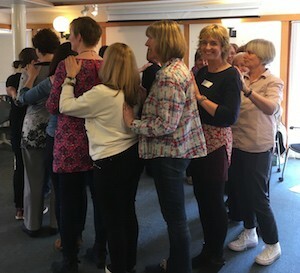 We’ve been so delighted by the amazing feedback from people who have been on our Story Massage training that we are launching a new programme of awards. 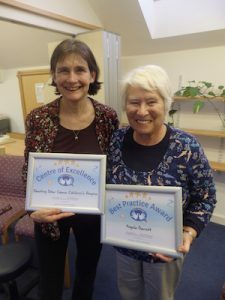 This prestigious Best Practice award recognises achievements in Story Massage as an individual. Takiko, Keiko and Tomoyo are members of Cocoro Charity who have introduced Story Massage to the children living in trauma after the Japanese tsunami. Takiko is founder of Cocoro Charity and helped write our very first Story Massage ‘The Smiling Flowers’. Read more here: Story Massage for Japanese Children and The Smiling Flowers Massage Story. Angela is Complementary Therapy Co-ordinator at Shooting Star Chase Children’s Hospice. 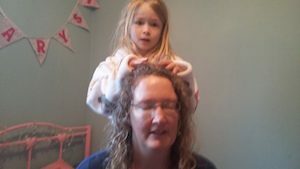 Angela uses Story Massage on a regular basis with the children and families. 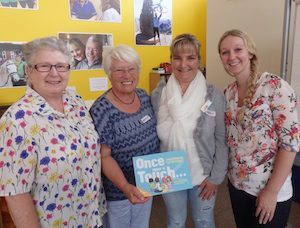 Read more here: Positive Touch Activities for Palliative Care and Story Massage for Siblings at a Children’s Hospice. Lisa is sensory Co-ordinator at Ysgol Y Deri Special School. Lisa has developed Story Massage as part of the sensory curriculum. 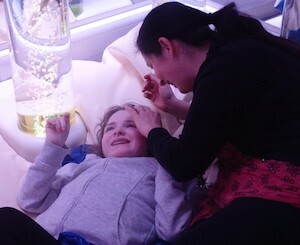 Read more here: Story Massage in a Sensory Room and Story Massage and the Sensory Curriculum. 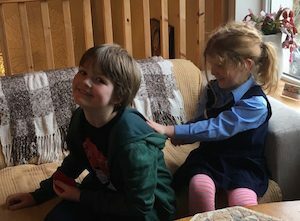 Leanne is a holistic therapist, blogger and ‘full-time mummy’ who has introduced Story Massage into her family home for her four children, one of whom has ADHD. She also runs regular classes for families as part of her Marsham Holistic Therapy business. 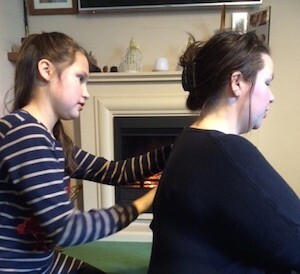 Read more here: Story Massage for Families, My Sister has ADHD and Story Massage and ADHD. Helen is SENCO at Hertford Junior School in Brighton. Helen has part of the Story Massage project from the very beginning. 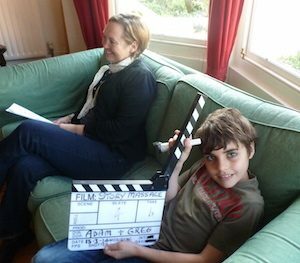 She regularly uses Story Massage at Hertford Junior School and even arranged for some of her pupils to be filmed for our Story Massage DVD. Read more here: Behind the Scenes Filming the DVD. Jo is Well-Being Co-ordinator at Bowker Vale Primary School in Manchester. 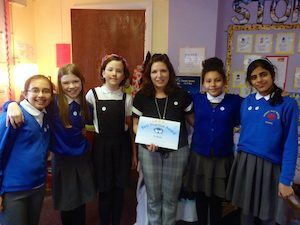 She has successfully introduced Story Massage as part of the well-being curriculum to promote respect and help develop friendships. Read more here: Story Massage and the Well-Being Curriculum. Helen is an Early Years teacher at The Orchard School in Birmingham working with children with PMLD. 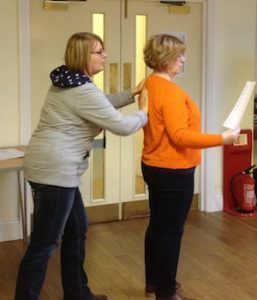 Helen enjoys creating massage stories to suit the individual needs and responses of the children. 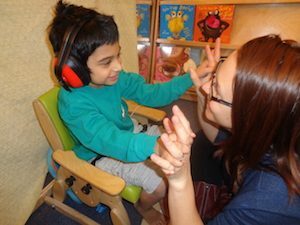 Read more here: Sensory Stories for Children with Special Needs. Catriona is a holistic therapist and mother of two children. Catriona attended one of our Story Massage courses at her own training school Golden Egg Holistic in Eire. Her children, Reuben and Polly, both insist of massage stories as part of their bedtime routine. Read more here: Story Massage for Bedtime. Sophie is a teacher and MISP instructor who loves travelling and working overseas. We presented her with a Best Practice Award for her work at a foster home for girls in Vietnam. Read more here: Story Massage in Vietnam. Sue is a holistic therapist trained to work with children with special needs. She loves the inclusive of Story Massage and uses it children, parents and grandparents of all ages and abilities. Read more here: Story Massage for Anti-Bullying Week and Story Massage is Inclusive and Fun. Romella is a holistic therapist who specialises in running family workshops to help create family well-being and a sense of calm. Story Massage is now integral to these workshops. Read more here: Creating Family Well-Being with Story Massage. Romina runs well-being and mindfulness sessions for children in schools and community groups. She was invited to run a Story Massage session at a local holiday club that proved so successful she now has a regular slot at the club. Read more here: Story Massage at a Holiday Club. Abi is owner and singing leader at Piccolo Music. 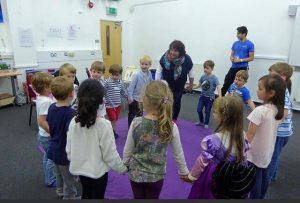 She combines the Story Massage strokes within music and singing workshops for babies, toddlers, school children and adults. Read more here: Singing Songs with Story Massage Strokes. Would you like to apply for a Best Practice Award? We have also announced our four Centres of Excellence in Story Massage: Ysgol Y Deri Special School, Shooting Star Chase Children’s Hospice, Cocoro Charity and Westfield Special School. Read more here: Centre of Excellence Awards – 2016.